Protect the health & safety of your children & business. What Does Your Day care or Preschool Communicate To Your Parents and Clients? The way your day care or preschool looks, feels and smells, communicates important messages to your clients. At Germ Champs we make sure your day care or preschool say the very best about the care and services you provide. When a client walks into your day care they shouldn’t be met with the smell of bleach. Yes, cleaning with bleach is appropriate for some day care and preschool cleaning applications; however, cleaning your entire business with bleach will create other serious problems and health risks. 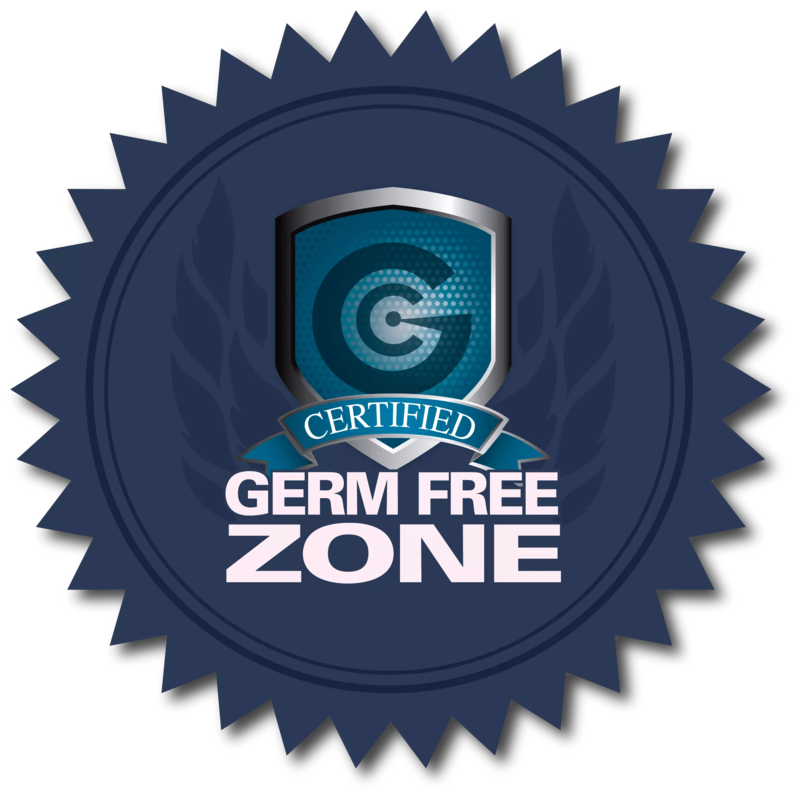 Call the Germ Champs today and we can help you create a pathogen free zone that is healthy and odor free without the use of bleach or other harmful cleaning compounds. 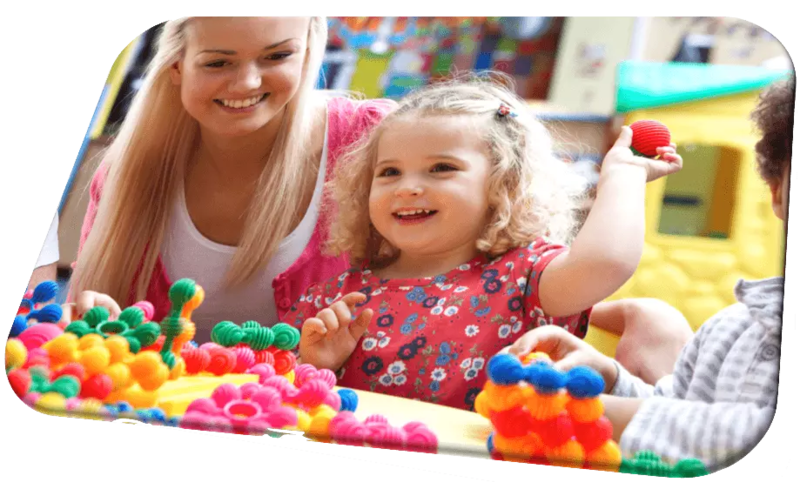 We offer full service day care and preschool disinfection and cleaning services. We’re an infection control company with expertise in day care and preschool disinfection and cleaning. We have the skill and experience to make your business a pathogen free environment that smells great, feels clean and look amazing. Any surface can become a springboard for the nasty pathogens that cause illness. No matter how thoroughly and carefully you clean. Plus, bleach and other traditional disinfectants are yesterdays weapons. They struggle to combat today’s more virulent and resistant germs. 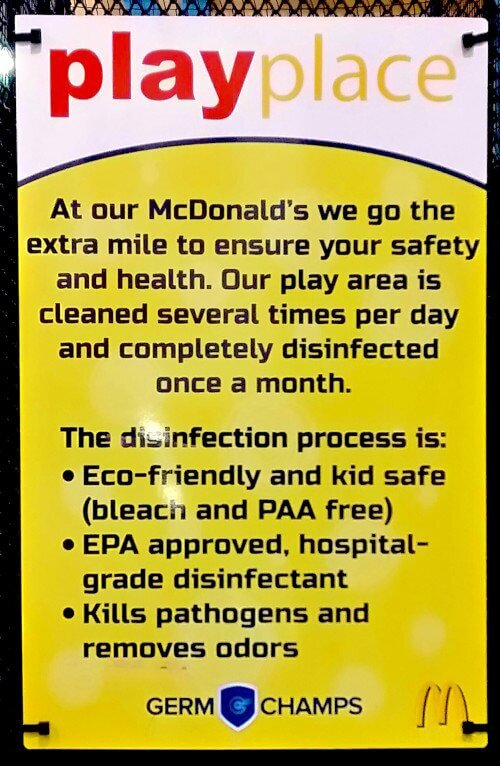 We use one of the only systems that is EPA approved for use in cars & EPA validated to kill 99.9999% of (hard to kill Super Pathogen) C.Difficile spores. Clients that receive our monthly service also receive one emergency Bio-hazard cleaning per month. Our disinfection process is proven safe for all the surfaces in your business. We work harder and smarter so that your business will be a healthier. We take pretreatment and post treatment germ load (APT )readings. We also record and track your germ load data and can provide it to you. No contracts! We¹ll work hard to earn your business & twice as hard to keep it. We proactively collect and document any issue regarding playland safety and send those issues to you as part of our post treatment report and invoice. We are licensed, certified and insured. Our infection control technicians carry their license with them at all times (as required by state law). The Germ Champs Germ Free Zone Seal is placed in the window of your play area after our service is complete. Your customers will see that you care about their health and safety. Our team of infection control experts are licensed and certified. We have the expertise and experience to handle you infection control and disinfection needs.